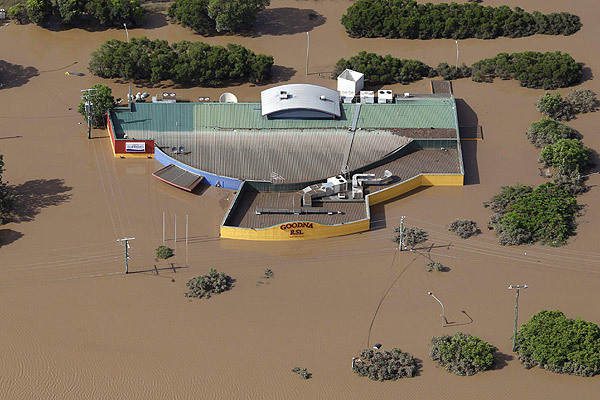 Following the devastation of the recent floods in Queensland, where thousands of homes, people and businesses have been affected, some scientists have cautiously attributed the intense monsoon, brought on by the La Nina weather pattern, to climate change. The La Nina is a cooling of ocean temperatures in the central and east of the Pacific Ocean, which normally results in heavier rain falls in parts of Australia, Indonesia and other parts of South East Asia. The El Nino, on the other hand is the opposite to the La Nina and normally results in droughts in the area. However, as David Jones, the head of climate monitoring and prediction at the Australian Bureau of Meteorology in Melbourne, has explained to Reuters, the La Nina is now occurring in a warmer world, with the ocean temperatures around Australia at it's warmest record. This results in extra water vapour that intensifies the winds and the monsoon, which likely could have increased the rainfall. As the clean up of Queensland has began, funds are still needed to help those effected, get back on their feet. 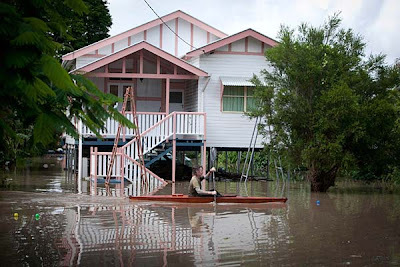 To donate, please visit the Premier's Flood Relief Appeal.